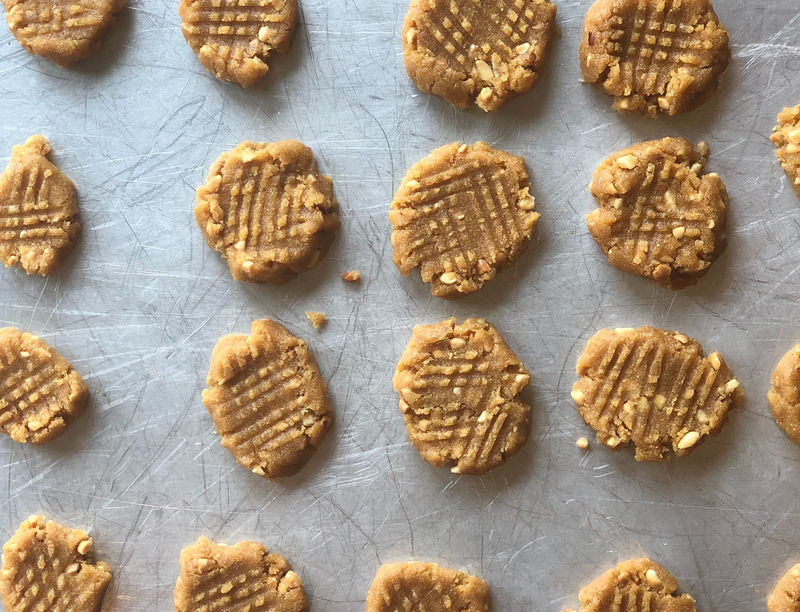 These high protein cookies are the perfect answer to your sweet tooth, a great quick and easy post workout snack, and kid approved! You can also use almond butter in place of peanut butter. I made these cookies last Friday (no school day) and they were gone by bedtime. In a medium sized bowl mix the monk fruit and protein powder. I use a wooden spoon but you can use an electric mixer as well. Add peanut butter and egg – mix well until combined. Roll cookie dough into 1-2 inch balls and set on an ungreased baking sheet. Using a fork press down to flatten. If the ends crack you can use your fingers to press back together slightly. Bake for 6-10 minutes, depending on how small or large you make them. Allow to cool on the baking sheet for about 10 minutes.